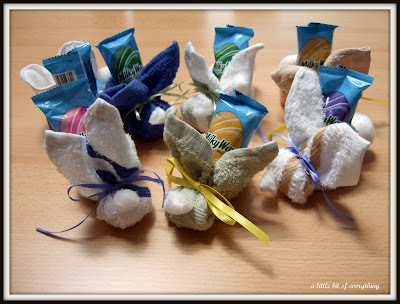 This is a cute way to do the seating arrangement at home or at an Easter brunch in a restaurant. 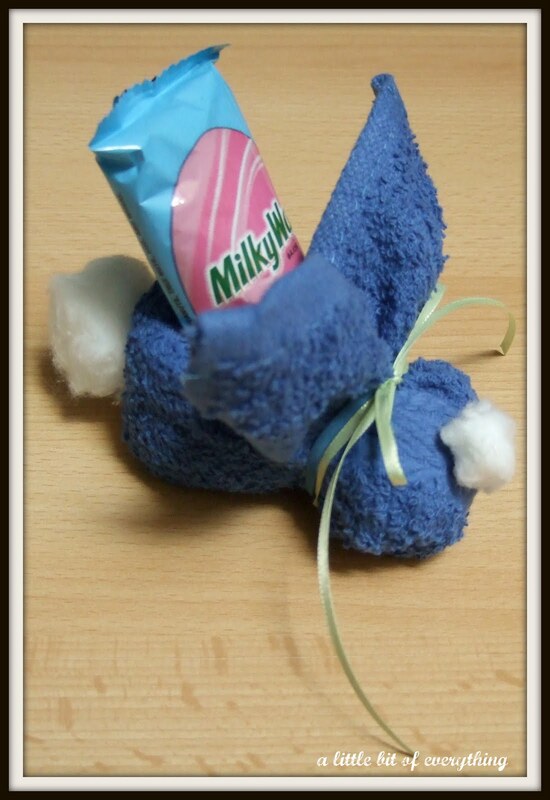 I found directions here: Washcloth Bunny Rabbit. My version is a little different. I picked up face cloths at the $1 store and instead of a plastic egg in the center, I used a Milky Way "egg". And I simply used cotton balls for the tail and nose. These I attached with double stick tape for easy removal. The actual name card is the tag on each bag of candy. So adorable!! 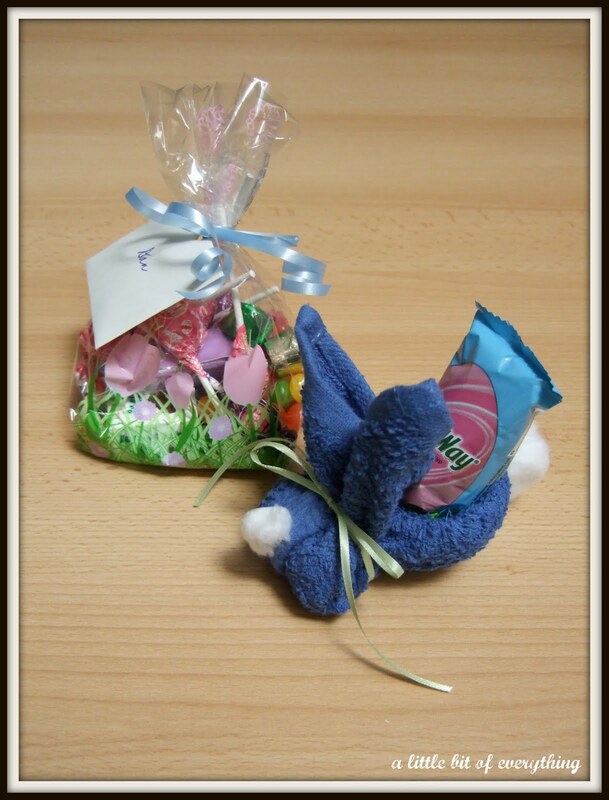 Thank you so much for participating and sharing your beautiful craft at the HOPPITY EASTER Craft Party! What an incredibly clever and simple idea. I'm looking forward to trying this. Thanks so much for joining the great blog train! We would love to have you link up with us again this month! Adorable! I made a few of these for a baby shower once; called them boo boo bunnies for holding ice cubes and put them in a basket of baby proofing supplies and a baby proofing book.